Many Nelson 35 pilot boats and service launches are providing sterling service, day in and day out, around the world. They are noted for their exceptionally soft ride, excellent handling in difficult sea conditions and for their predictable handling during ship boardings. They are built to Classification Society-approved drawings and are fitted-out to comply with the customer’s local flag approvals. Today’s Seaward Nelson 35 Pilot Boats benefit from the decades of experience that the company has in the design and build of these specialist craft. Robustly built, well-fendered and produced with maintainability in mind, they provide their operators with the ideal tool for this particularly demanding job. The Seaward Nelson 35 is available with a fixed or resiliently-mounted wheelhouse, with seating for 4 or 6 and a choice of forward or aft raked screens. Various engines options are available, providing operating speeds up to 25 knots. Seaward also builds a Service Launch version of the Nelson 35, ideal for coastal patrol and multi-role applications. Seaward specialises in the design and build of rugged boats for discerning users who seek the ultimate in reliable performance. 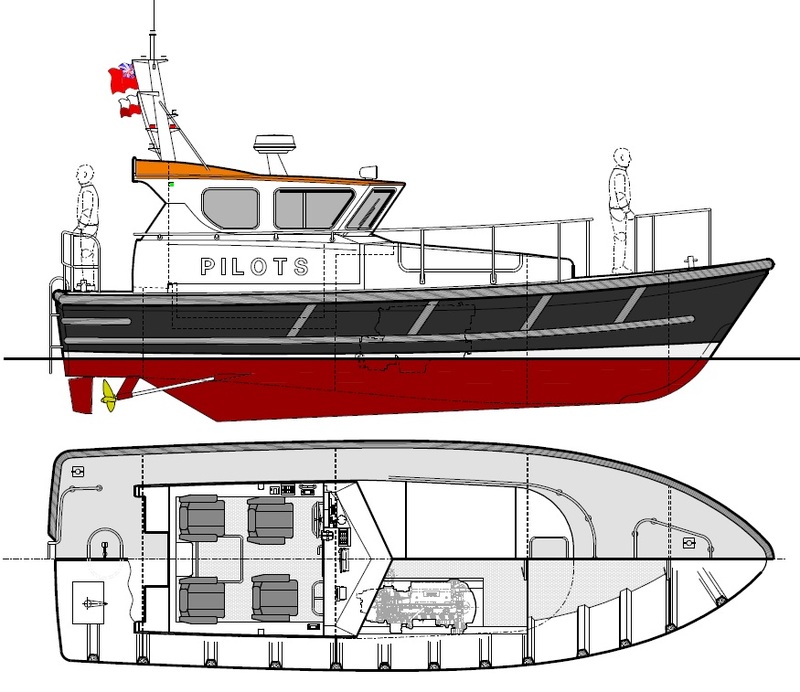 Today’s Seaward Nelson 35, 40 and 42 Pilot Boats are the result of a constant evolution of these well-proven designs, incorporating all the latest build techniques that we have developed. For more than forty years Seaward’s management team has been involved in the build of numerous pilot boats, both of the Nelson type and others that were optimised for different purposes, such as RIBS and other (often hard chine) hull forms. This experience, enhanced by the incorporation of much user feedback into the well-proven Nelson hull forms, results in today’s ideal all weather pilot boats. We offer both fixed or resiliently-mounted wheelhouses, with either forward or aft-raked screens. Seating comprises of individual helm and nav seats, supplemented by either two individual pilot seats or by two inward facing bench seats. The vessel’s hull, deck and superstructure are to be designed, built and certificated in accordance with Rina rules. Due to your positive experience with Volvo engines, and to the excellent local support that they provide you, we have proposed Volvo D7s for your 35. Included in our proposal is the latest Seaward foam elastomer top fender that gives a number of advantages including better shock absorption, increased spacing from the ship side, a small increase in dryness and a saving in weight. These are specially made, very strong, sectional fenders, bonded to the hull over an effective L shape at the deck edge, incorporating a toe rail. This also removes the downside of leaks that can develop with bolted fenders. Both the recent build for La Coruna and the boats currently in-build for Genoa are fitted with this type of fender. Many pilot boats are occasionally asked to assist with pushing small commercial vessels and also come bow-on to quay sides to collect personnel. Our boats feature a well-fendered rounded bow to better protect them during such manoeuvres.